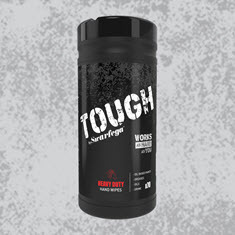 Introducing the new TOUGH by Swarfega range – skin care that works as hard as you do. 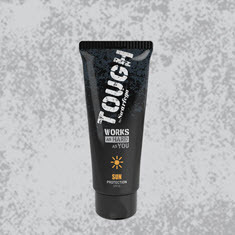 SKIN PROTECTION CREAM: For strengthening the skin and improving grip so that you can get on with the job at hand. This protection reduces a risk of debilitating skin conditions. SUN CREAM: SPF30 high-performance formula which withstands heavy perspiration, immersion in water and will not affect grip on hand held tools. 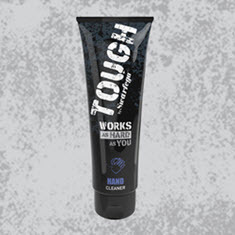 HAND CLEANER: This handy tube is heavy duty and takes no prisoners; grease, grime and oil don't stand a chance. Tough on dirt, but kind to skin. 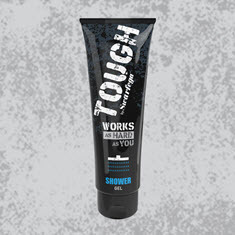 SHOWER GEL: Not all shower gels are made equal, this is dual action, suitable for getting rid of hard to shift grease and grime from hair and skin to leave users feeling fresh and clean. 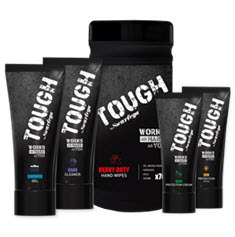 HEAVY DUTY HAND WIPES: Heavy duty, textured hand wipes that can be used anywhere, anytime. With no water required, this is a must for people on the move. 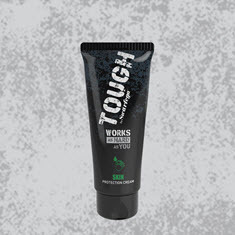 Designed to improve grip and strengthen the skin. SPF30 high-performance UV skin protection cream. Removes oil, grease, carbon black and lubricants. Removes oil, grease and general dirt from hands. Refreshing dual action shower gel, for hair and body.